This issue clarifies the lead use restrictions under section 3.5 to correspond to the provisions specified in the US Safe Drinking Water Act. Rounding procedures have been clarified under section 1.6 and Annex A. The normative reference for Standard Methods for the Examination of Water and Wastewater was updated to the most recent edition and language was added under section 1.3 to address undated normative references. 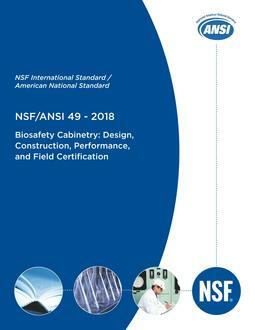 In addition, the procedures for determining the lead content of drinking water system components have been removed from Annex G and reestablished in NSF/ANSI 372. Annex G was retired from this Standard in October 2013 (i.e., three years after the initial adoption of NSF/ANSI 372 as previously outlined in Annex G).